Technical guides and research to help you make informed purchasing and business decisions. Wondering if your company’s data is secure? 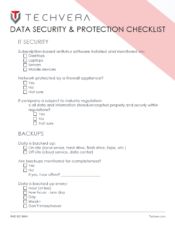 Use our checklist to perform an audit and see where you stand. Follow along on our accompanying blog post to learn even more about which areas of your business need attention. Technology helps manage business. But it’s often difficult and expensive for a business to effectively manage its technology. 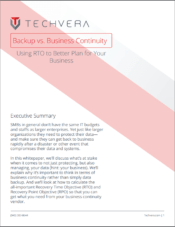 The cumulative costs, increased resources, and high staffing levels required to keep hardware, software, and networks all up to date and running flawlessly become a challenge for companies of all sizes. 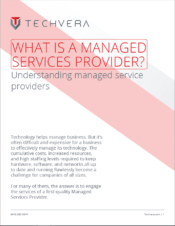 For many of them, the answer is to engage the services of a first-quality Managed Services Provider. Learn what these companies do and if one may be a good fit for your organization. 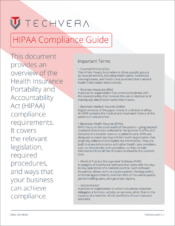 This document provides an overview of the Health Insurance Portability and Accountability Act (HIPAA) compliance requirements. It covers the relevant legislation, required procedures, and ways that your business can achieve compliance.